This entry was posted in TE CRM Newsletter, Uncategorized on April 28, 2014 by Mike Nash. that will help your business work smarter and do more with less. company with over 600 KPI’s to help you keep a finger on the pulse of your business. Tall Emu Point of Sale – Sell over the counter. Tall Emu Consulting – Full review of your business processes. We can help you work smarter, faster and more efficiently. operational data in an easy-to-digest format. Imagine if your team could know all about a customer the moment you recieved an email from them? With Inbox 360,our new outlook plug-in, every time you receive an email we display key data from your CRM right alongside the email. It’s like having Tall Emu CRM right inside Outlook! Information at your fingertips that you can act on instantly – clicking the links will open the relevant records inside CRM. It’s also possible to create support tickets or opportunities right from Outlook into the CRM – no need to task-switch, one click and your data is in. Better yet – with the new plug in you can sync to CRM from anywhere there’s an internet connection – great for remote, out of office or terminal server users.. Supports Account customers and special prices, multiple price levels. Links directly with Tall Emu CRM so no dual entry of product data, customer or sales data. Many of our clients find it inconvenient to manually enter sales data to CRM or their accounting system while the customer is present – Tall Emu Point of Sale is the answer. Tall Emu CRM features powerful email marketing capabilites. Design email campaigns based on templates created by us, or your own agency. Reports on email activity pulled back into the CRM contact records automatically. Integrating systems to remove redundant data entry and automating repetitive tasks can help your business achieve more with less. Any business with a reliance on Excel or Access or that has many manual processes can benefit from a consultation with Mike. If you’re drowning in work, drowning in paper and wish it was all easier then contact us today. This entry was posted in Why CRM on April 22, 2014 by Mike Nash. Last year, I wrote about the perils and problems of Excel Spreadsheets to run your business. Today I’d like to talk about their evil twin: custom access databases. For those who don’t know, Microsoft Access is an entry-level database system that allows beginners to easily write their own programs and databases. Many businesses, from big to small have at one time used Access for a little database or business process. And they’re all wrong! Beginners can put together databases without proper technical understanding. If created by a person in the business, the database can be very useful because the person writing the database is intimately familiar with every nuance of the process. In Cash cost, may appear cheaper than other alternatives. Beginners can put together databases without proper technical understanding. It means that the database may not be technically correct, the data may not be in the right structure, it may not be secure, fast or suited for future needs. If created by a person in the business, the database can be very useful because the person writing the database is intimately familiar with every nuance of the process. This may result in a database which is so tightly tailored to your business that change is impossible. In Cash cost, may appear cheaper than other alternatives – but actually isn’t. You’re taking a member of your staff out of what they’re good at and getting them to build you a database. You’re paying their wages, you’re paying them to re-invent the wheel and they’re not doing what they are good at in the first place! Even if you get an Access Consultant you have no idea if they have formal or adequate experience technically – because access is easy for the layman to pick up. If the database has to work with other systems, you may void their waranty or support agreement if you write data to them other than via an approved method, and there can be unexpected costs if you want to upgrade systems (you better get that consultant back and hope he hasn’t retired yet!). The main issue is that you’re building a dependency – either a person in your business who just made themselves and their knowledge indispensable, or a customised database built at huge expense by a micro-business operator (one man band) who you may well be tied to for life (his or the software’s). Changes to third party systems may break the system unexpectedly and the third-party vendor won’t care about your little access database – it will be your responsibility to fix it. We’ve rescued many businesses from this sort of “Key Man Dependency” caused by Access Databases. 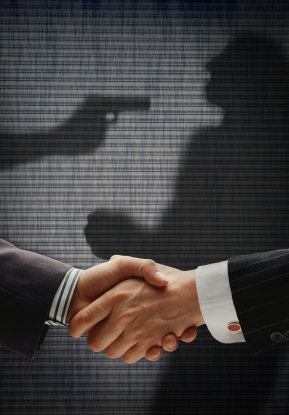 Don’t be next – think before you let the sales guy write his own Access database, or engage a consultant to make you one. When we designed Tall Emu CRM we made it our goal to get rid of Excel, get rid of Access and provide one streamlined, central system to share and manage your data. A key requirement for us was to make it massively customisable. Make it easy to link data with other systems – accounting and others. Provide Automation features over multiple systems. Make common business functions available out of the box to avoid re-inventing the wheel. Continuous improvement – new features can be added and shared between all clients using the system (if appropriate). Tall Emu CRM licences cost a fraction of what it costs to develop customised Access Databases – with far, far more power out of the box. You can start from a powerful base and build from there. 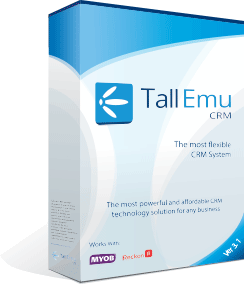 If you’re already a Tall Emu CRM user and you’re considering the need for custom reports or tools to help make your job easier don’t be tempted by Access – call Tall Emu for a complementary consultation.